Home»Delkos Feed » Want to know why AUDUSD is going up for the next 4 hours? Want to know why AUDUSD is going up for the next 4 hours? 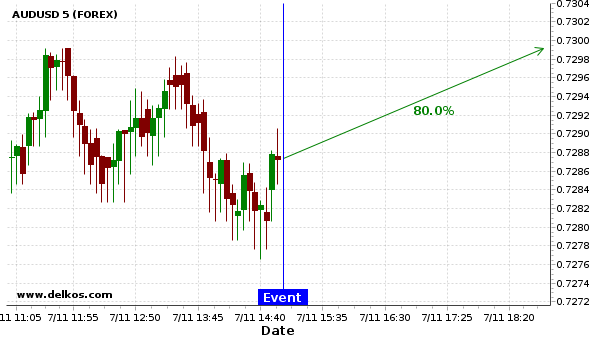 Based on the last 12 Ivey PMI s.a events in CA, we expect a $130 movement on AUDUSD within the next 4 hours.